Hybrid Protokol | OK Listen! Hybrid Protokol shares a common passion derived from Old school Electronic Music, Big Beat, Synthesizers & Music Technology. Soumajit & Aneesh, being the branchild of Hybrid Protokol, since 2014, edging on the sound of "Big Room Dance" : Both have clearly spawned their zeal from the love of early electronica (Chemical Brothers, Prodigy, Orbital, Leftfield, Shpongle and such pioneers). The duo performs completely live, improvizing with their arsenal of synthesizers and their live performances reveals an almost rampant and infectious energy : On the go, upon a non-stop barrage of synthesizer riffs clinging on solid beats and funky breaks, arps and subversive bass-lines. 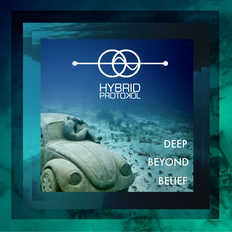 Hybrid Protokol contains a heavy dosage of post-psychedelic sound syndromes.